Birth is a very spiritual experience, at least for me it was. I can attest to the fact that my faith has helped me through it. I am also certain that if it wasn't for my faith I would have fallen into PPD the months following welcoming our first baby. It was tough, motherhood is. Especially those first months when everything is so new and unknown. Praying through labor and birth was a tremendous help. No matter what you believe, it helps to understand the spiritual transformation that happens as you enter into motherhood. It's okay to let this experience change you, wash over you, make you an even better you. It's okay to surrender to this physical pain that many mothers before you have endured. You'll dive in and dive out never quite being the same. My spouse. I can honestly say I wouldn't be able to give birth without him. Especially the first time around, he was my rock and such a huge support physically, mentally, and spiritually. You need to have a person there with you that's on the same page. A person you connect well with, someone who will not create any tension. For the second birth I enjoyed tremendously having my spouse there to support me mentally and spiritually, thankfully he could physically relax this time and the water took care of supporting me physically for Baby T's water birth! Make sure you also have a care provider you feel comfortable with. There is nothing worse than butting heads on differing views with a doctor as you're giving birth. Just like a wedding dress, you'll know when you find 'the one', trust your instincts. Don't just stop at OBs, look into midwives as well if you have a low-risk pregnancy and hope for a natural birth. You may also consider hiring a doula for support, especially if your spouse cannot be present for one reason or another. A doula provides emotional and physical support during birth, she is an advocate for your wishes and rights. If you cannot afford a doula, you may want to try looking for one that is in training and needs a certain amount of births to attend for experience at a discounted rate or even free of charge. I've found that doulas are often wonderful people who are really committed to mothers and babies in very deep ways. Here is a helpful website for locating a doula, DoulaMatch. I find that a doula is most beneficial in a hospital birth where unnecessary interventions are most likely to occur. Birth plans have the potential to get thrown out the window, but that doesn't mean you shouldn't have one. Communication is important, and those attending to you need to know your wishes and preferences - especially when you are in labor and are not in your right mind or can't speak for yourself. What do you want in a birth? You can specify everything from dim lights to epidural or not, when the cord is cut, your preferences on episiotomy, what would you want to happen in the event of an emergency c-section, newborn procedures you would like to opt out of, etc. Earth Mama Angel Baby has a pretty good free birth plan builder that I used as a starting point for mine. I had a birth plan with both births. In the hospital it was super important, we printed many copies so every nurse at each shift was aware of it. There was perhaps only one thing that didn't go according to the birth plan and that's delayed cord clamping, which was hard to do with the umbilical cord wrapped around our newborn's neck twice. I know that if it wasn't for the birth plan, a lot of other things that were important to us would get thrown out the window. Thankfully the staff, for the most part, would always refer to our birth plan. 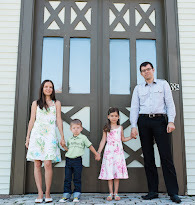 With the second baby in a birth center, everything was just so much more peaceful and natural, I didn't really need one. The wonderful midwives were pretty aware of the reasons I was there, and not in a hospital. Music is amazing! It becomes ingrained in our memories and we associate certain music with particular moments in our lives. I still get teary listening to In Your Arms of Love by Kutless, since I walked down the aisle to that song. Music is such a huge part of my life, I had to have it with me when I gave birth! With both of my babies' births we brought our own music, I really enjoyed instrumental guitar. It's relaxing, it helps me focus, and just sets the mood for everyone involved. It makes it personal, tailor your playlist to what makes you happy and uplifts your spirit, whatever makes you feel stronger. Even if you are planning a hospital birth where technically you don't need to worry about food, you should still bring some foods you enjoy, even if you only bring snacks. I never liked hospital food. It's sort of like restaurant food, you never really know what's in it (GMOs and pesticides are highly likely). With our first baby born in a hospital I wished I brought at least some of my own food. With our second we had a small birth center birth, so I had no choice but to bring my own. I loved having my own delicious sandwiches with us, packed with grass-fed butter and cheese, chicken, and organic veggies. After giving birth and feeling like I ran a marathon, it brought so much comfort for a hungry nursing mama! Yes, food often is comfort, and you'll need it after the fact! I'm all for bringing homemade snacks and meals, but if that's the last thing on your mind in the days leading up to birth, you could also just bring some non-perishable healthy snacks such as Peeled fruit snacks, Pure Bars, or raw organic nuts. Keep in mind that whatever can make your birth experience a peaceful one is up to you. This is my experience, yours may be different. Listen to your intuition and go with whatever brings you beauty and peace. 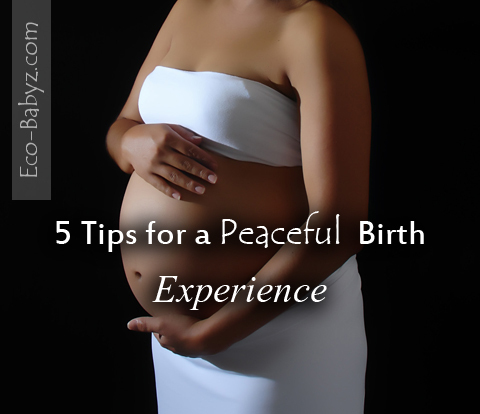 What helped make your birth experience peaceful? Or what helped you make peace with a birth that didn't go as planned? Reading Back Labor No More by Jamie McCoy-King...A MUST READ TO ALL MOTHERS-TO-BE!